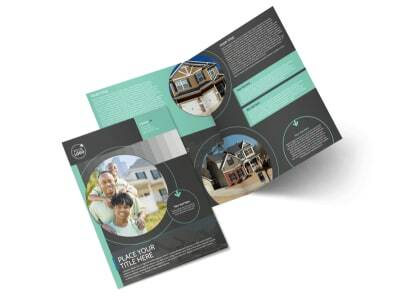 Whether you’re selling, renting or vacationing, home is where you make it. 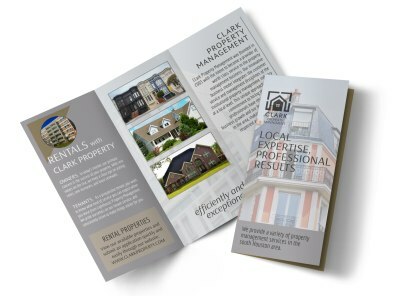 So make it memorable with our clean and professional real estate brochures. 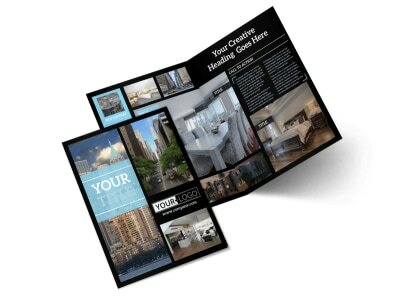 Choose from our creative and customizable commercial real estate brochure designs to help promote your available property. 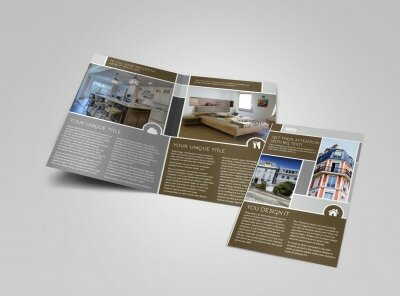 From luxury hotels and apartments to houses and businesses, we’ve got the template you need for a price you’ll love. 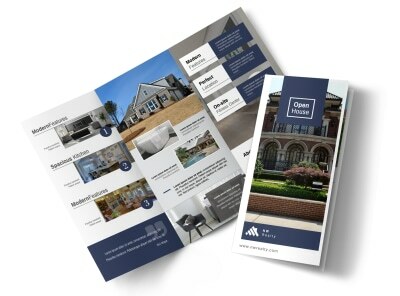 With a wide variety of available dimensions, folds (tri & bi) and styles, our real estate brochure templates can be as simple or as detailed and elegant as you choose. 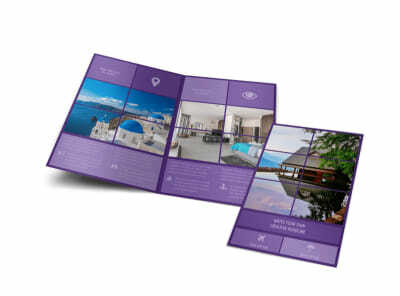 Print them anywhere. 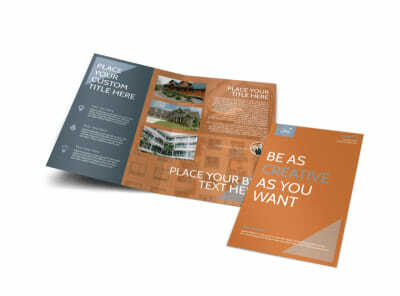 Give them to anyone. 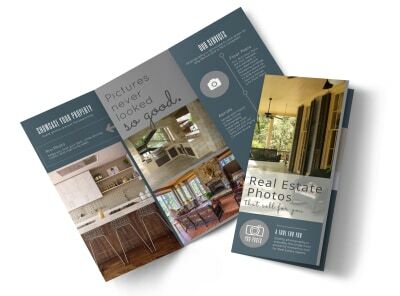 When it comes to drumming up interest for a hot property, make sure real estate agents are aware of the value your photography services can offer. 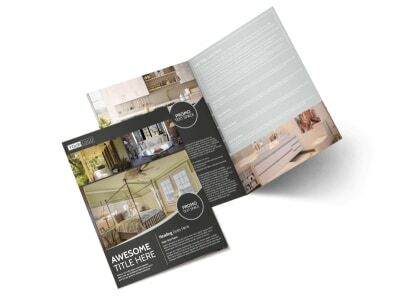 A picture really is worth a thousand words, but to a real estate agent a picture of a home can be the difference in a property getting sold or staying on the market. 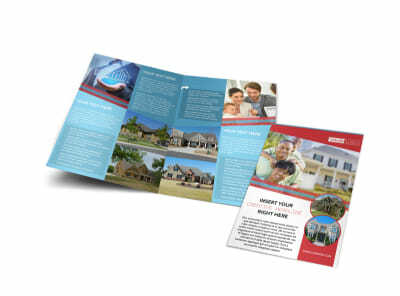 Design a real estate photography brochure that showcases your skills and the value you can offer. 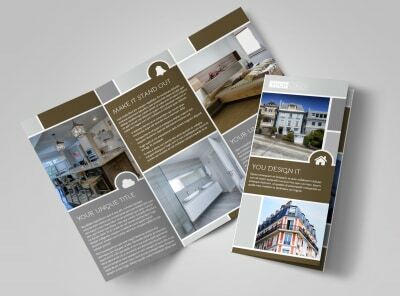 Not only is it important to show your previous work, but also make sure to communicate your contact information clearly, so you don't make it hard for someone to want to work with you. 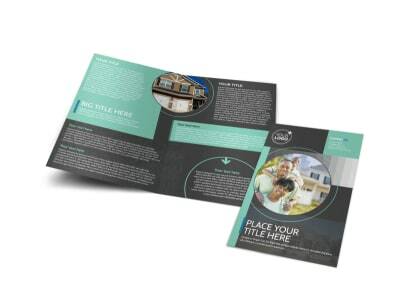 It's time to promote your service and help real estate agents do what they do best. 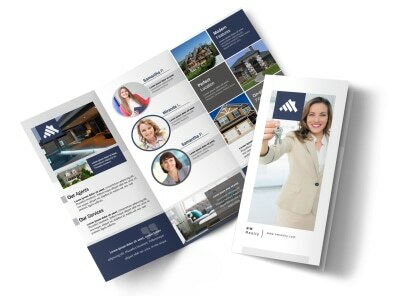 As a real estate professional, marketing is what you do. 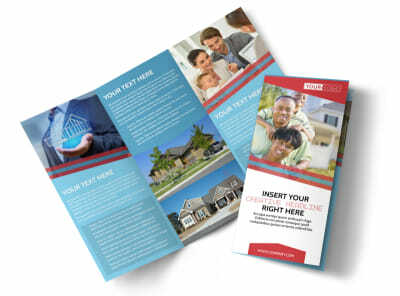 Show off your firm’s latest housing development by customizing one of our tri-fold real estate brochure templates. 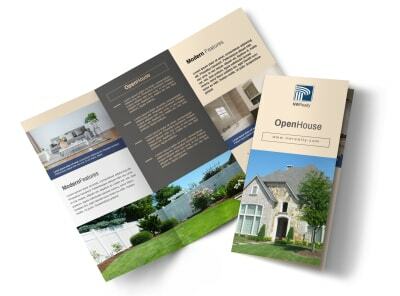 Upload an eye-catching array of professional photographs of available property units (interior shots of your well-lit, modern condos, or homey photos of the latest two-story model farmhouse) and distribute them throughout your brochure. 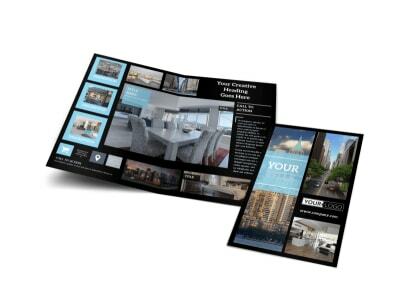 Include all the key details – square footage, number of beds/baths, amenities, and optional upgrades. 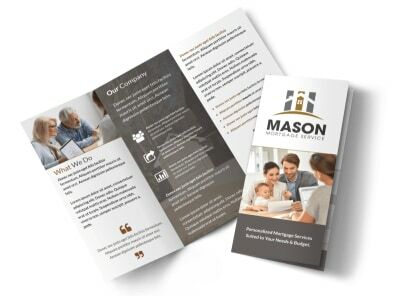 Write up a compelling “About Us” section to introduce potential clients to your company – highlight how you got your start and why you do what you do. 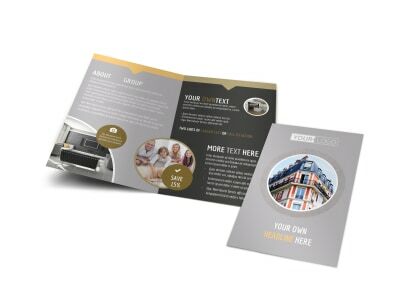 Print up a stack of brochures to hand out to all prospective buyers - MyCreativeShop’s online editor is on board to help you close the deal! 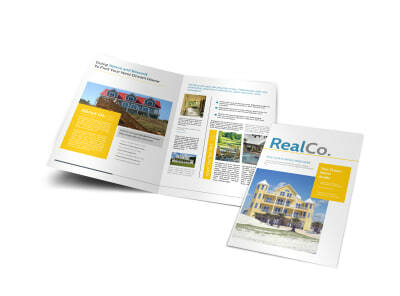 In real estate, your team is your biggest asset. 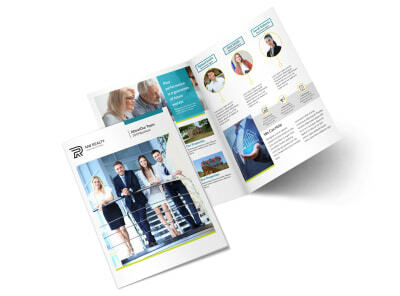 Each member of your team has their own special skills and specialties. 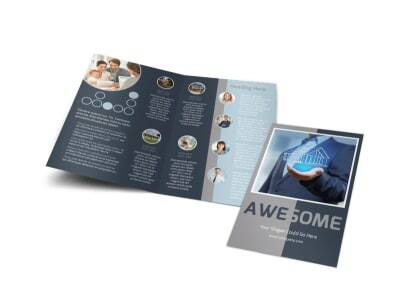 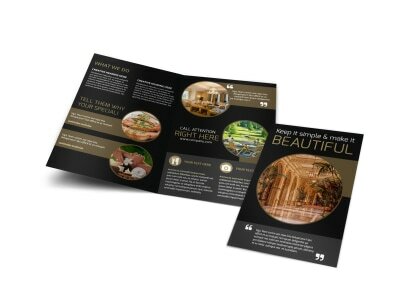 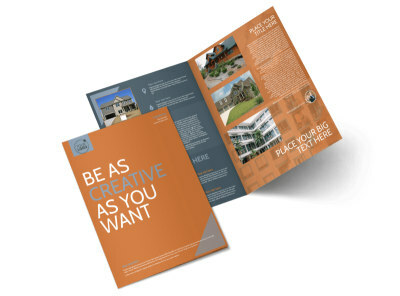 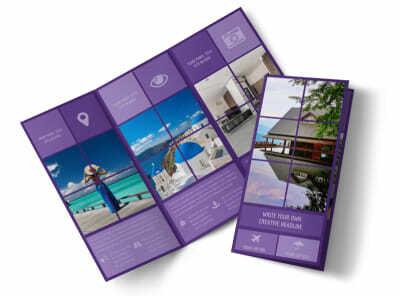 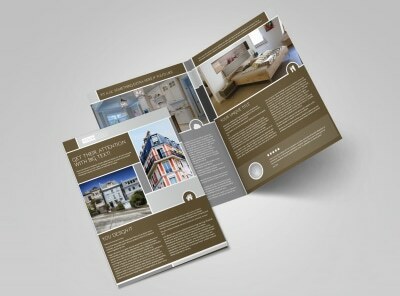 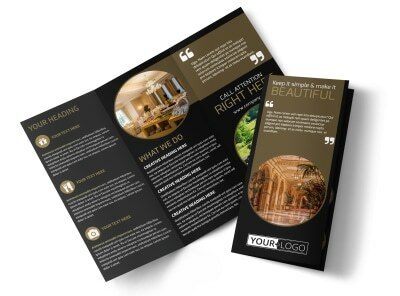 Display their accomplishments and qualifications to prospective clients in a brilliantly designed brochure. 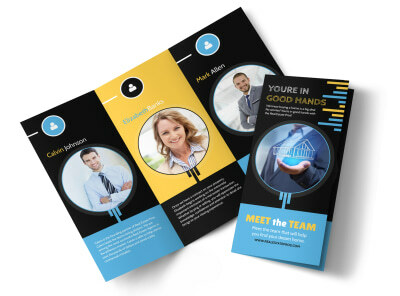 Put those professional headshots to good use by including one for each agent/broker/Realtor®, along with their direct contact information, strengths, recent sales, and areas of interest. 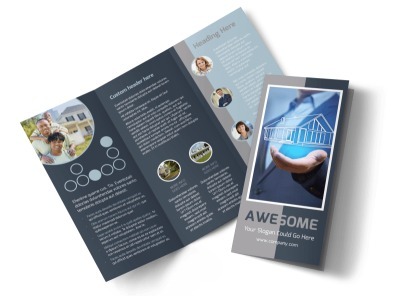 If they have any special certifications or training, highlight them! 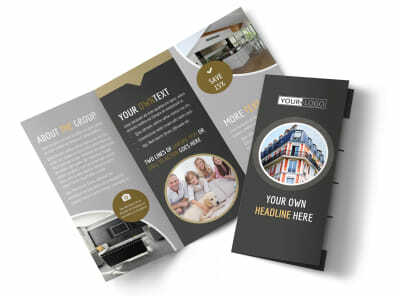 Include fun personal facts, like their favorite HGTV host or show or favorite local restaurant. 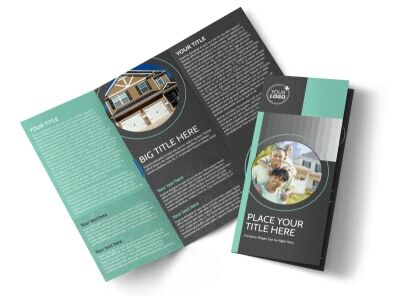 Use our online editor to create a brochure that shows potential clients that they can relate to and connect with their real estate agent! 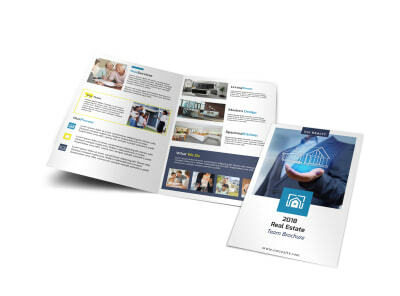 Property management and the art of juggling are not all that different. 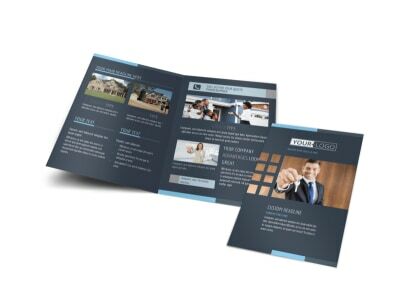 Both require you to keep multiple “balls” in the air without dropping even one, and both necessitate some fancy footwork at one time or another to ensure success. 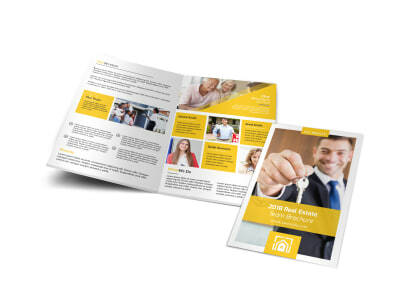 Thankfully, though, being a landlord does not have a clown shoe or red foam nose dress code, nor does it require you to find work under the big top or on a street corner. 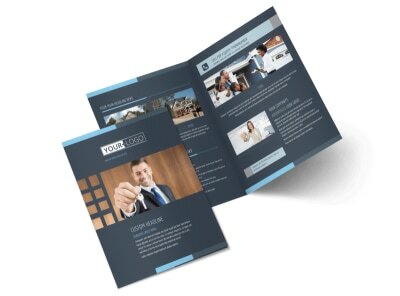 Showcase your multi-tasking skills by fully-customizing a professionally-designed brochure. 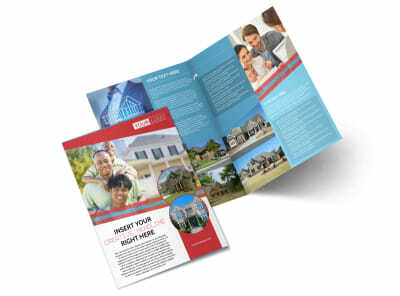 Highlight your available properties, including special features, amenities, and rent specials. 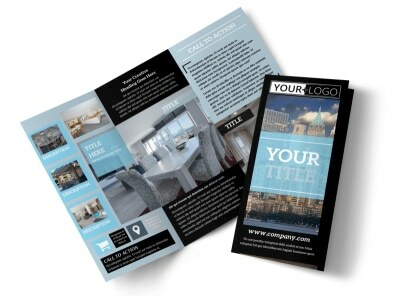 Our online editor makes the process a snap – design and print your brochure, and you’ll have deposits made and rental agreements signed in a flash! 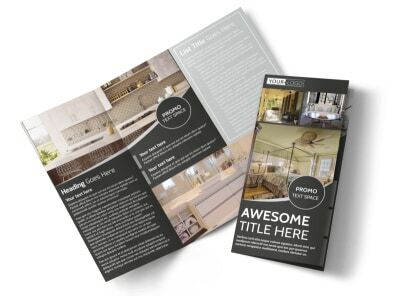 Get homebuyers into your available condominiums, model homes, or custom-built luxury floorplans by personalizing one of our eye-catching bi-fold real estate brochure templates. 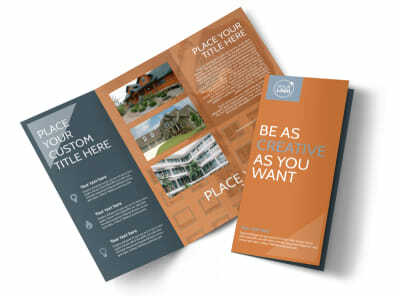 Begin by uploading your logo and company name on the front cover, along with a catchy title. 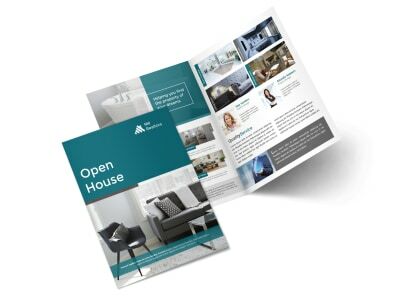 The inside of the brochure provides the perfect canvas for interior and exterior property photos, floor plans, and a well-crafted description of all amenities, upgrades, and finish options. 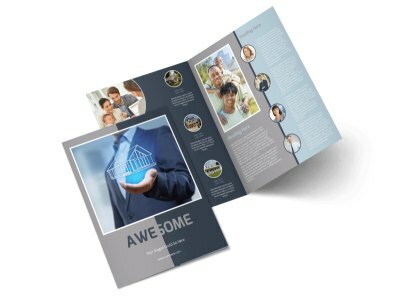 On the back, put together a “Who We Are” section that lays out your firm’s history – how you got your start, why you do what you do – and include a photo of your entire team. 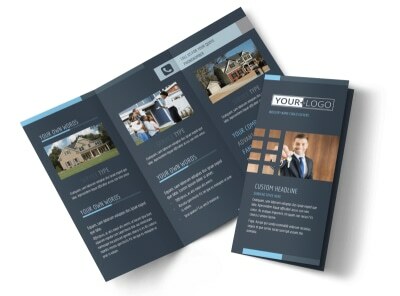 Finish up with your contact information and website. 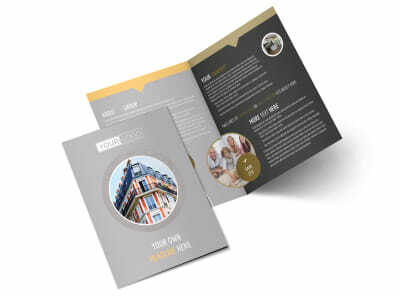 With the help of MyCreativeShop’s super-easy online editor, you’ll have a completed and printed brochure that will encourage prospective clients to get in touch when they’re ready to set down new roots! 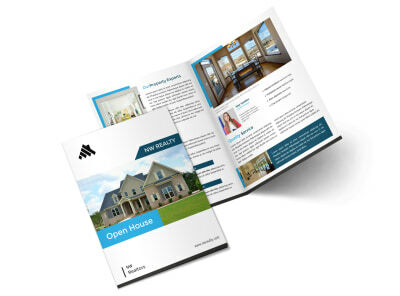 Hosting an open house at one of your new listings? 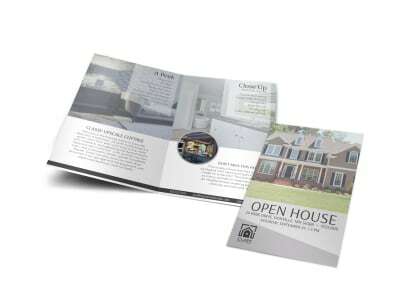 Give your potential homebuyers something to take away from the event by handing out custom-designed brochures. 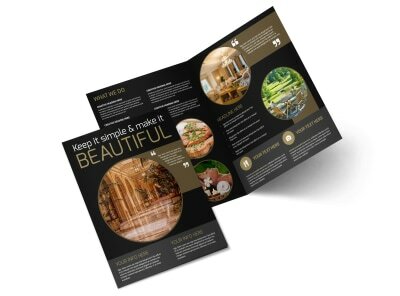 Make the home memorable by including vivid pictures of its best special features. 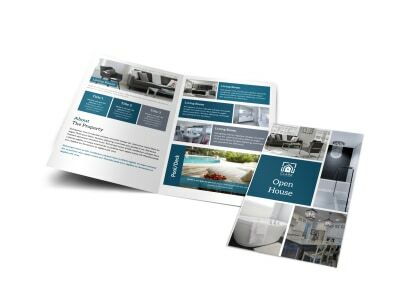 Highlight key selling points – number of beds & baths, square footage, heating/cooling systems, energy efficient updates, appliances, and school district ratings. 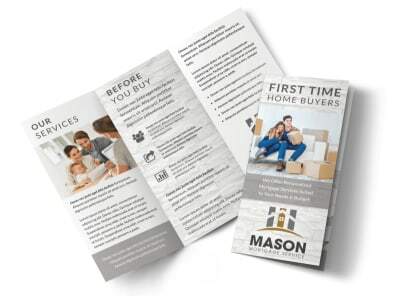 Use language that helps the buyer see themselves in their new home. 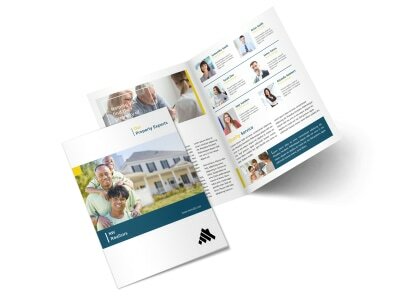 Include a great photo of you and your contact info so that they remember who to call when they decide between house 1, 2, or 3. 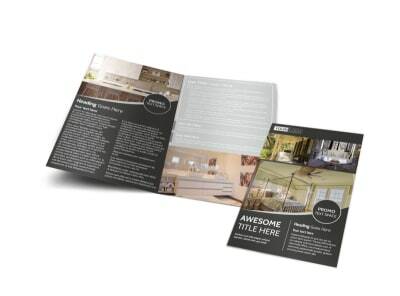 HGTV’s got nothing on you!